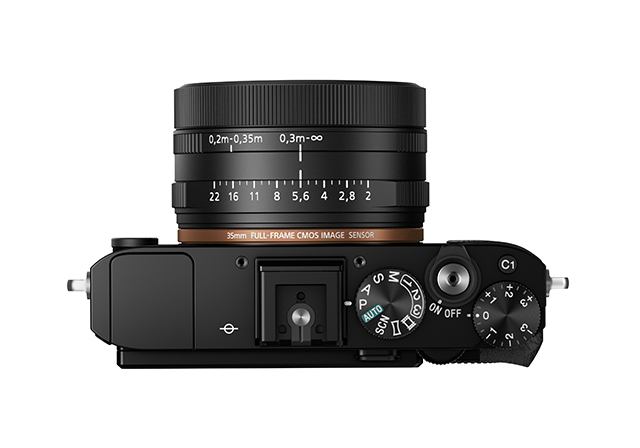 Sony has revealed a 42.4-million-pixel full-frame compact camera, the Sony RX1R II, boasting a retractable OLED viewfinder and the ‘world’s first optical variable low-pass filter’. 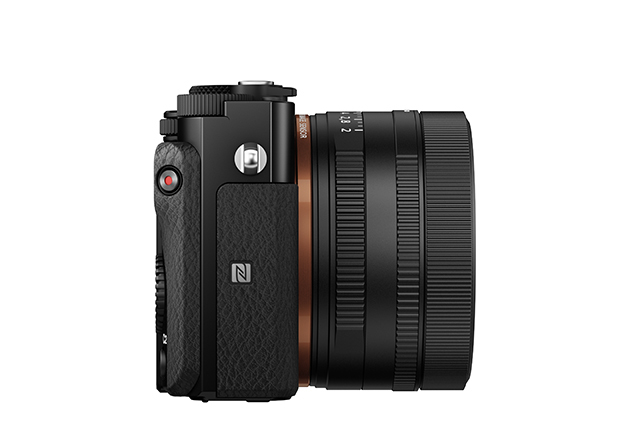 The ‘palm-sized’ Sony Cyber-shot DSC-RX1R II sports a 35mm f/2 Zeiss Sonnar T* lens and a ‘30%’ faster AF. 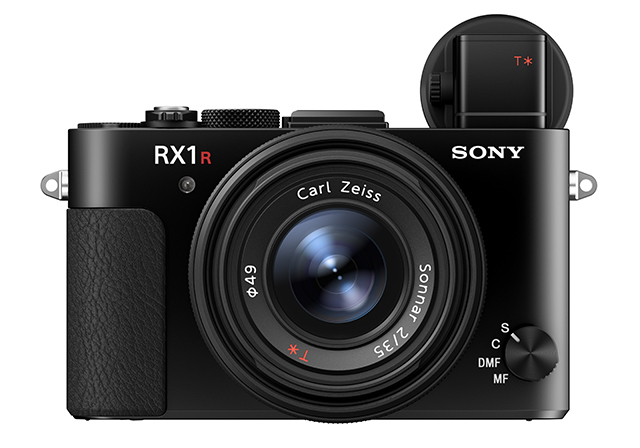 The RX1R II will cost £2,600 when it goes on sale in December. The optical variable low-pass filter can be set to ‘off’, ‘standard’ or ‘high’, based on user preference. 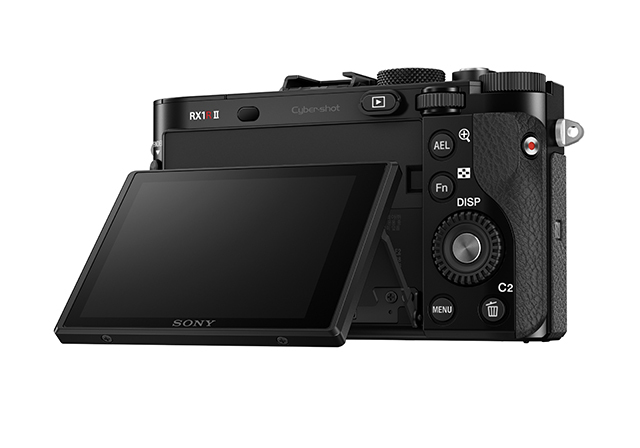 The new Cyber-shot also features a tilt screen but has no built-in flash. 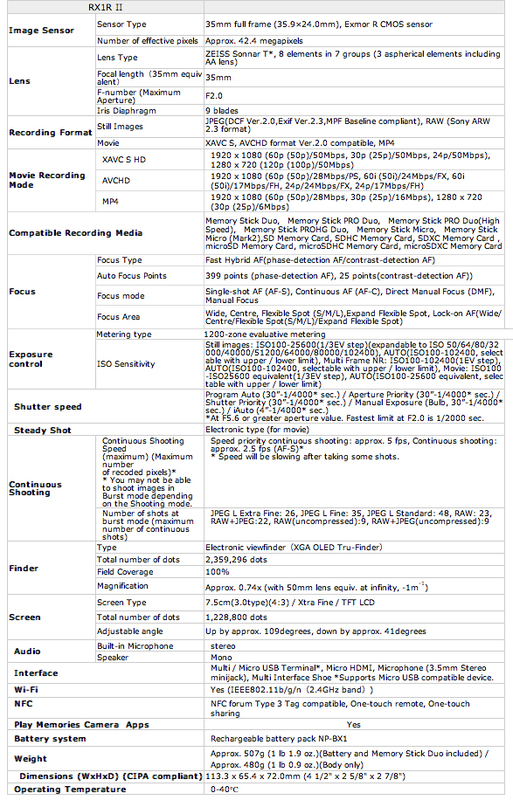 ISO 100-25,600 is expandable to ISO 50-102,400. The nine-aperture lens has a macro shift ring for focusing on subjects as close as 14cm. The optical variable low-pass filter is designed to allow photographers to ‘manually adjust the balance of image resolution and presence of moiré or colour artifacts to match the subject’. Sony claimed in a press statement (below): ‘This unique feature allows photographers to achieve the desired image quality and resolution based on the presence of moiré-inducing high spatial frequency objects in the scene, essentially combining two cameras – one with and without a low-pass filter – into one body. 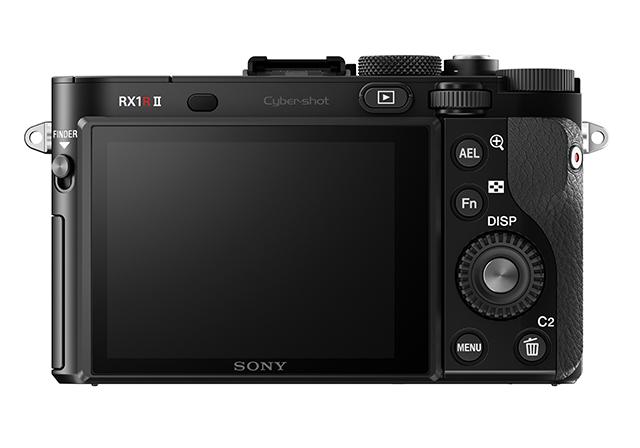 Weighing 480g, the RX1R II incorporates uncompressed 14-bit raw file capture, in addition to compressed format recording. Firepower includes 399 phase-detection AF points, along with 25 contrast AF points, plus five frames per second continuous shooting and AF tracking. Improvements over previous models include multiple AF area settings – including wide, centre and flexible spot; and Eye AF and lock-on AF. Designed to be activated by one-push operation, the retractable 7.5cm (2.4-million-dot resolution) XGA OLED Tru-Finder has a magnification of 0.74x. Also on board is a 1.2-million-dot LCD monitor, built to tilt upwards by 109° and down 41°, in addition to full HD video functionality.